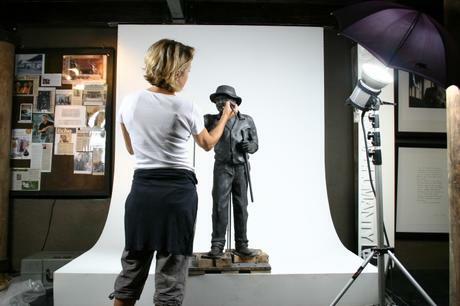 Bridget’s work is predominantly figurative, and her commissions have extended to life-size and larger. Working in Johannesburg and Cape Town, she has completed a number of overseas commissions from the UK, India and Dubai. Bridget Bird was born in Zimbabwe in 1962. She currently lives in Johannesburg. Over the years Bridget has produced work in a variety of media, before starting to sculpt full time. Bridget concentrates on studying the human form and portraiture. She is self-taught, learning her craft under the guidance of experienced sculptors in Zimbabwe, South Africa and the U.K. Since moving to South Africa, Bridget has also completed commissions in the UK, Dubai and Delhi. Her sculptures are recreated from the original clay statue using the traditional lost wax process. They are presented in pure bronze and are all limited edition.